“What’s On My Coffee Table” is a monthly series where I share how I currently have my coffee table styled. 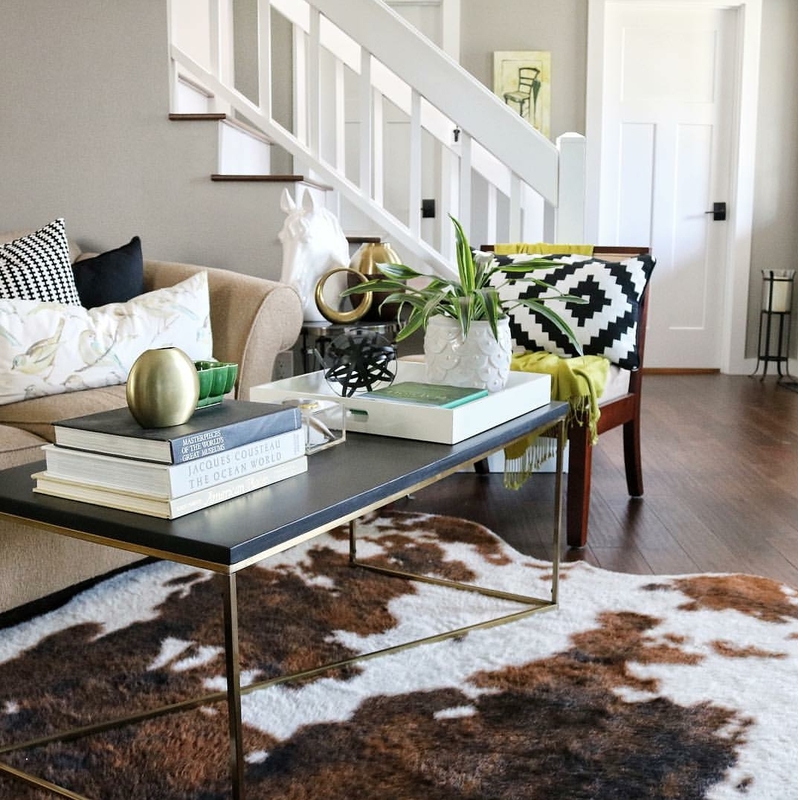 Through this series, I hope you can pick up tips, tricks and be inspired to style your own coffee table at home. Share your styled coffee table on Instagram and use the hashtag #WhatsOnMyCoffeeTable and I’ll share a few favorites on the blog. 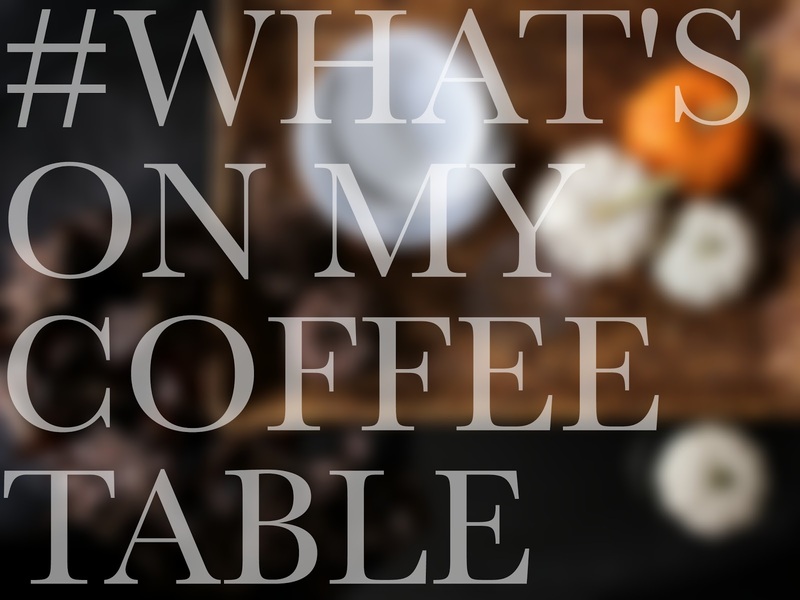 Here are a few of my favorite picks this month shared with #whatsonmycoffeetable on Instagram. These two talented ladies are a great example of using just two items to style a coffee table: Books and plants. Make a stack of books or magazines. add a decorative object on top of them and add some fresh greenery to the side. That's it! My friend Brandi went with a clean and classic approach to her decor and stacked two books and a decorative box on a tray. She finished her look with a vase of fragrant eucalyptus branches. This month it's all about keeping it simple. I wanted to show you that you can create a good-looking autumnal vignette on your coffee table using mostly items you can find around your house. 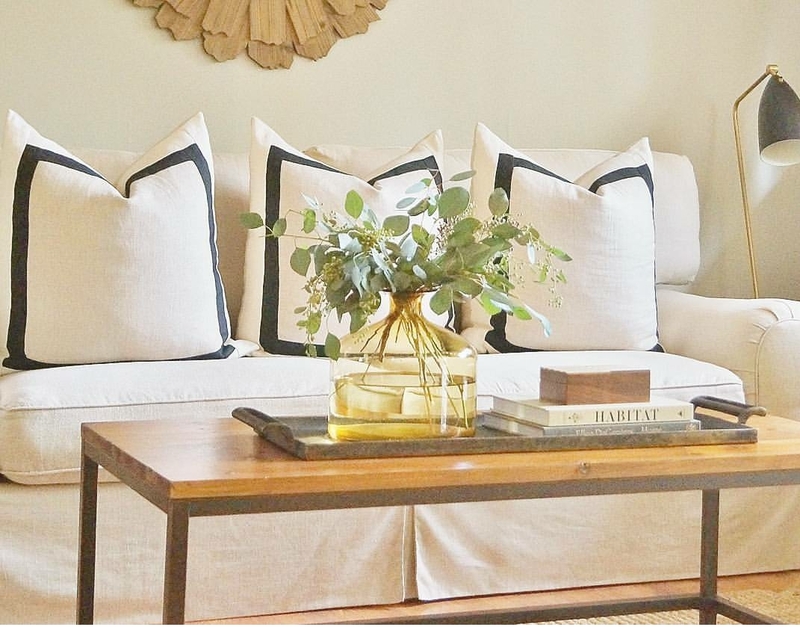 Here is what you need to create a fall-look in your living room. First, you gotta get some pumpkins! HELLO! 'TIS THE SEASON! Next time you're at the grocery store, pick up some mini pumpkins. They're like 89 cents so grab like 5, who cares. You will also need dried leaves. Don't get fake ones, use the real deal. Literally go outside to your park or wherever there's lots of trees and pick up some beautiful dried leaves. I've done that myself before but for this project I used store-bought dried leaves that I have had for years. You can find them at Vons grocery stores. P.S. if you happen to come across some pine cones, grab a couple of those too. Get a couple of old paperbacks that you know you will never read again. Rip off the covers so that you have a nice neutral colored book! Now that you have all your items, you can get started! Next, arrange the bowls on your table, creating varying heights with the books. Scatter a couple of leaves around to give the arrangement some "looseness"
You can stop there, or continue by grabbing a tray to corral magazines and the remotes and adding a couple pine cones, a pumpkin and some clippings from your yard in a glass of water. This is such a simple and inexpensive way to create a little vignette of fall right in your living room. If you have cereal bowls, dead leaves and a few 89 cent pumpkins handy then you can do this! Check back next month and see what I have on my coffee table for Halloween! If you're not subscribed to my blog, please do so before leaving that way I can send you a short email letting you know when I post here on the blog. AND if you're interested in browsing other posts on coffee table styling then click on "What's On My Coffee Table Series" in the blog menu. PLUS, I have a PINTEREST BOARD dedicated to all things coffee table so check that out and give the board a follow too! I will be sharing my favorites next month on the blog! I can do that! I love the step by step instructions!